Look at me, blogging three weeks in a row! It’s almost as though I’ve achieved work-life balance… but it may be more that I’m choosing different things to ignore. Whatevs. (Do people still say that? I don’t think they do). 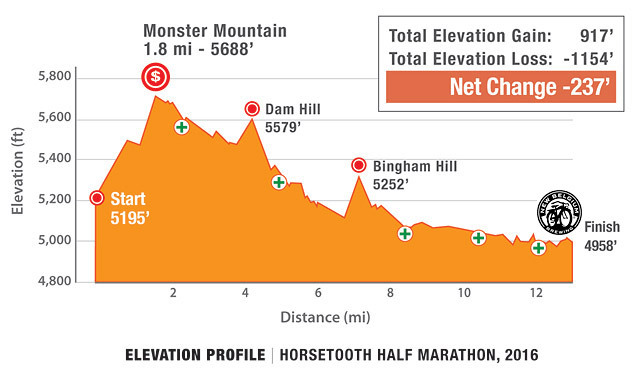 Anyway, I’m plugging right along with training for the Horsetooth Half. I’m feeling good, getting a little fitter all the time, and starting to feel more and more like my old self. Here are the deets (I’m all about the ’90s slang today) from the last two weeks. I felt the need for a day off (see Week 1’s recap), and I had the day off work and just a couple of days left on the 30-day unlimited yoga pass I bought in December. I took the day off running and went to hot yoga instead. I like hot yoga now. Then I went to physical therapy in the afternoon. Self-care for the win! Short hill repeats: 10 x 30-second hill sprints, 5.2 miles total with warm-up and cool-down. My favorite hill for short repeats — which is my favorite because it’s close and there’s never any traffic — was PACKED with cars that day. Turns out, the highway construction nearby is detouring cars on my favorite road. For several months. Guess I need to find a new hill. Whomp whomp. Rode the spin bike (and forgot to log it in Strava, I just realized) and did some strength work. 6 miles easy plus 4 strides. I am so loving the longer days. Someday, I will run the whole thing. Saturday, I did a decent bit of hiking. 10 miles total. Rest. It’s rare for me, especially now that I’m uninjured, to run only 4 days a week, but my body was begging for rest after Saturday’s workout, and if that injury taught me one thing, it’s to let the body rest when the body wants to rest. Plus it was snow-storming out, so it really was a perfect day for rest. 3.1 easy miles, then strength training. 6 x 2-minutes at 10k pace, 2-minutes recovery. 5 miles total, with warm-up and cool-down. I had an after-school training that required an early-morning treadmill run. I’ve managed to avoid those for most of this winter, so having to do one morning wasn’t SO bad. Tried to take an artsy picture for Instagram. Artsy and 4:30 a.m. do not mix well. 4 miles easy, then strength training. Rest day! I had a meeting-slash-happy-hour and then a basketball game, and decided that rest was better than another early workout. Look at me, trying to be smart. It only took me 32 years. Jordan had a meeting and I had a haircut, both in Loveland, so I dropped him at his meeting, then ran, then took my gross, sweaty head to the hairdresser. Yes, I tipped well. My training plan said 5 miles, but the clock said “Stop or you’ll be late” at 4. Oh well; that one mile probably won’t make or break my race in April. (That’s sarcasm, FYI). 11-mile long run on the hilliest route I can run without having to drive anywhere. It was lovely. Welcome to Colorado, where we run in short skirts while there’s still snow on the ground. If you looked only at these two weeks, you’d think I was egregiously breaking the 10-percent rule, but worry not: I’ve been consistently running 30-35 miles/week for several weeks; last week was just a weird one. The upcoming week brings my first tempo run in 1.5 years and a fast-finish long run, which I haven’t done in… I don’t even know how long. Should be interesting. Does anyone still even read this blog? If you do, say hi! As a not-very-big, not-very-popular, and not-very-consistent blogger, I’m not exactly inundated with emails from gear companies offering to send free product in exchange for a review. When I do get such requests, I don’t always say “yes,” either: it has to be a product that looks like something I’d actually use, and I make sure the company knows that I’ll give an honest (not necessarily favorable) review. Even so, when I get a product that I don’t love, I sometimes struggle to write that review: I got this thing for free, and now I’m ragging on it? Such was the case when I received a free pair of SKINS DNAmic compression tights. I got the tights early last fall, but a combination of the freakishly warm Colorado season and my still-low mileage kept me from wearing them enough to give them a fair review. Now, I’ve worn them for several hikes, a few runs, and a handful of post-run recovery days, so I feel like I have enough perspective. Cute. The pair I got was purple, with cute mesh cut-outs on the calves. I’ve gotten several compliments on them. Please excuse my glaring white sock. Fashion-forward I am not. A couple of times, when going from trail to town, I just pulled a skirt over the tights and put on boots or sandals (it’s Colorado; you never know which to wear), and that made a cute, easy outfit. Since the science is iffy on compression gear while running but more definitive on its benefits after exercise, the cuteness factor is a BIG plus: You can wear them out and about without looking like you’re in recovery mode. True to size. The size chart on the website was spot on. Comfortable, for compression tights. I’ve had some compression gear that makes me feel like a sausage. These don’t, but they still feel like they’re tight enough to get the benefits of compression. Nice base layer. I’ve worn them under my hiking pants on a couple of cold hikes, and they’re just the right weight. This picture and the one above were taken on an October hike to Cub Lake in Rocky Mountain National Park. They are by far the prettiest pictures I’ve taken while trying these tights. No drawstring. I’m what the fashion websites call “rectangle-shaped,” so it’s almost impossible for me to find workout pants/tights/shorts that stay up if they don’t have a drawstring. Constantly yanking up my britches is not super fun. Layer them, for sure. To be fair, I don’t know that they’re necessarily meant for wearing on their own, but it’s 2018. People wear leggings as pants (though I only do when running), so you should be aware of this little issue. A little thin. All around, I prefer thicker material on compression tights, but that’s personal preference. If you wanted to wear underwear with them and not wear a skirt or shorts on top, you’ll definitely want to wear them as a baselayer/under a skirt. So, I give these tights a C. I’ll keep wearing them as a base layer and after long runs, but I probably wouldn’t buy them for myself. If you want to buy them, though, or check out other SKINS gear, click here (not an affiliate link. I’m just helpful like that). Do you wear compression gear? Have you tried SKINS?